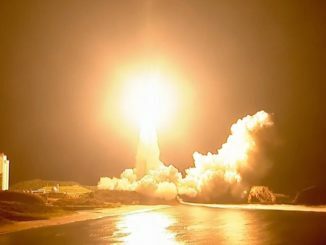 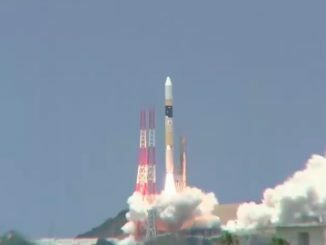 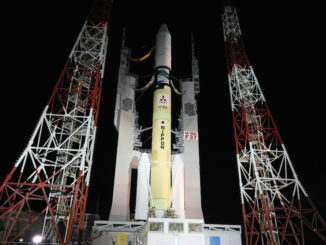 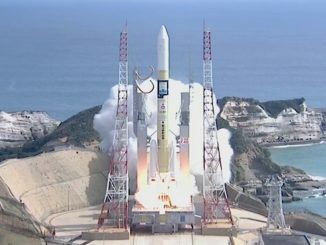 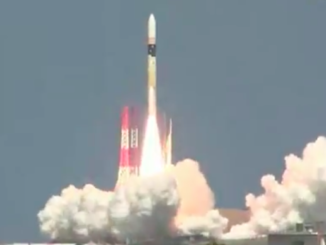 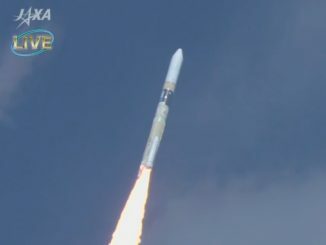 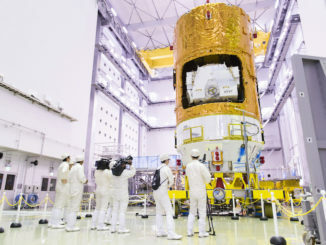 Japan’s seventh HTV resupply mission to the International Space Station blasted off from Tanegashima Island on Saturday aboard an H-2B rocket. 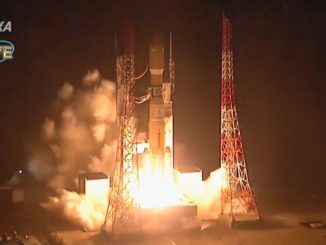 The unpiloted cargo carrier launched at 1752 GMT (1:52 p.m. EDT), kicking off a nearly five-day pursuit of the space station. 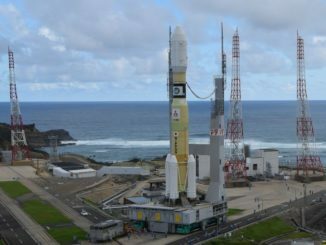 A typhoon forecast to move near a ground station in Guam on Monday has forced officials to postpone the launch of a Japanese HTV cargo ship loaded with more than 13,000 pounds of supplies, experiments and a replacement set of batteries for the International Space Station.